Pia Vito is heir to CEO Raphael Mastrantino’s billion-dollar empire — so he initiates a calculated seduction! But when inescapable longing engulfs them, to make her his, Rafael must give her more than a diamond ring! Imogen O’Sullivan is horrified when Raoul breaks up her engagement and makes her his own convenient bride - he’s planning a passionate punishment for their stormy past! Can Imogen resist Raoul’s delicious revenge? 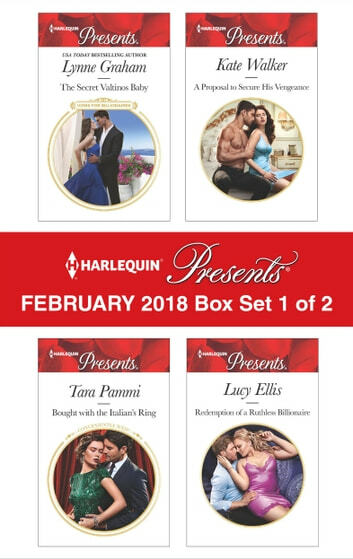 Be sure to collect Harlequin® Presents’ February 2018 Box Set 2 of 2!